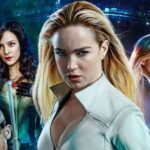 We’re getting closer and closer to The CW’s annual DC TV event with the highly anticipated Arrowverse crossover with Supergirl, Arrow, The Flash, and Legends of Tomorrow. 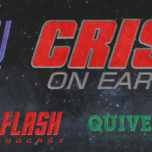 The CW released today the official description of episodes 8 of all four shows for the event “Crisis On Earth-X”! The crossover will start on Monday, November 27 with Supergirl at 8 PM as usual followed by Arrow which will air on a special time that week at 9 PM. 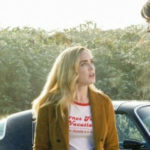 The following night, Tuesday, November 28, will start with The Flash at 8 PM with Legends of Tomorrow wrapping up the crossover starting at 9 PM. 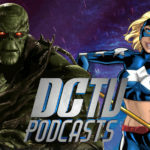 Stay tuned for information about the DC TV Podcasts Crossover between Quiver: The Green Arrow Podcast, The Flash Podcast, Supergirl Radio, and Legends of Tomorrow Podcast!